Please note that the Early Bird Deadline for Registration is Tuesday, September 24, 2019. No refunds will be available after this date. Thursday, October 24th – Board of Directors and Presidents Council to arrive in time for dinner. Charlotte is a major city and commercial hub with a metro population of 2,474,314. It is home to a diverse population, hip and funky neighborhoods, fine dining, craft beer, music, museums, and so much more. You may want to extend your stay! 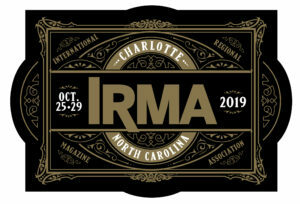 Special Rate Cut-Off Date– in order to qualify for the IRMACON2019 discounted rate, reservations must be made by October 1, 2019. After this date our discounted rate is subject to availability. Pre/Post Stays– The Fairfield Inn will extend the above group rates, three days before and three days after the contracted conference dates of Tuesday, October 22, 2019 to Tuesday, October 30, 2019, subject to guestroom availability. Please fly into Charlotte Douglas International Airport (CLT). CLT has non-stop flights from 136 cities in the US, plus Toronto and Montreal. CLT is the 10th busiest airport in the United States. Rental Cars – All major rental car companies (except Thrifty) are located in the Rental Car Facility at the terminal. Taxi – The hotel is about 8 miles ($25 fare) from the airport. Ride Share – Uber and Lyft are available. Wear comfortable clothing. In Charlotte, you’ll feel equally at home in jeans or business casual. Our awards dinner is the only event where folks have traditionally dressed up, but we won’t kick you out if you wear jeans! 70 degree days and 51 degree nights are average for Charlotte in late October, but you should check the weather before you travel.